SAS Nagar: A Mohali based special CBI court of Additional Sesssions Judge Nirbhau Singh Gill yesterday (Sept. 26) sentenced two Punjab cops for killing a Sikh teenager in a fake encounter in 1992.
in a village near Beas in Amritsar, a special CBI court on Wednesday sentenced two former Punjab police officers to life imprisonment. The Two Punjab Police officers (cops). Dara Singh is 75 years old. They were convicted for killing Harpal Singh in a fake encounter on September 18, 1992. 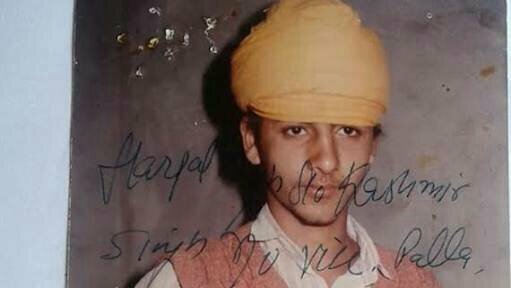 Harpal was just 15 years old at the time. Both cops had pleaded before the court that they were aged and had large families to support and that a lenient view may be taken while sentencing them. The guilty have also been fined Rs 61,000 each. Three other accused former police officers – Jasbir Singh, Nirmaljit Singh and Parmjit Singh – were acquitted by the court. Ram Lubaya, a police officer and another accused, died during the course of the trial. The court found that Harpal Singh (14) was killed by Raghbir Singh was SHO and his police party on the 18 September 1992 in fake encounter. Harpal Singh was picked up from his house on 14 September 1992 at 5:00 AM by SI Ram Lubaya and was taken to Police Station Beas. Harpal Singh was kept for 4 days in illegal confinement, tortured and later shown to have been killed in an encounter on September 18 in Nijjar village. The post-mortem report said Harpal was shot from point-blank under his right eye and from a distance of 3 metre in the forehead. Police station Beas and then was shown to be killed in an encounter on the intervening night of 17and 18 September 1992 at village Nijjar. The police had claimed that two persons were coming near Village Nijjar and on seeing the police party that was petrolling there with CRPC duo started firing on the police party. Police claimed that the firing took place for 20 minutes in which the police fired 217 cartridges and after the firing stopped in the search operation it was found one boy whose name was Harpal Singh was killed. The court found that none of the allegedly used 217 cartridge were collected by the police party and deposited in the Malkhana, no ammunition records were deposited in the Malkhana, non of the police officers in the said encounter sustained any injury not there vehicles at the spot were damaged. The court found that the police story about the encounter was false. The CBI court convicted Raghubir Singh, the then SHO Beas and S.I Dara Singh, under section 302, IPC and sentenced to life imprisonment. Three other accused police officers are acquitted. Ram Lubaya, the main accused died during the trial and was facing other similar cases of fake encounters.